Marriage has long been described as the union of two people, which in the end gives rise to solidarity of purpose and existence, creating one stronger unit. With the emphasis put on the union, you can imagine that undoing the union is serious business. During divorces, emotions run high for different reasons. The financial aspect of ending the marriage relationship is high on the list of stressors. For example, if a household brings in $100,000 per year between the husband and the wife, splitting that income in two and trying to maintain the same standard of living is hard to to do. As a Jacksonville divorce lawyer, I’ve encountered this dilemma many times. 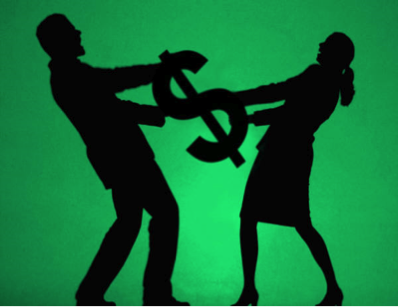 Intertwined in the issue of income splitting is the issue of dividing marital debt (and marital assets, but in this article the focus will be on marital debt). According to Florida Statute 61.075, “All assets acquired and liabilities incurred by either spouse subsequent to the date of the marriage and not specifically established as non-marital assets or liabilities are presumed to be marital assets and liabilities.” In other words, both parties are responsible for debt created by one or both of them, unless it can be shown that one of them should be solely responsible for the debt. This means proving that it is non-marital debt. The person who wants the debt to be considered non-marital debt has the burden to prove that it is non-marital debt. Florida law begins with the idea that both parties should share equally in paying marital debt. There are circumstances where the court will order disproportionate distributions of marital debts (and assets); equal distribution is only a legal presumption and can be overcome. 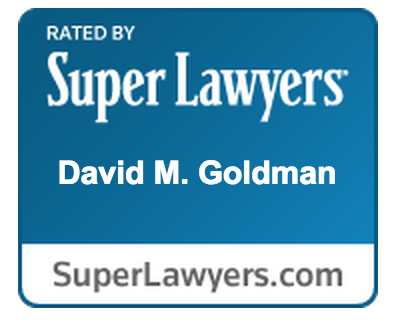 At the Law Office of David M. Goldman, we have experienced Jacksonville divorce lawyer that can help you understand your rights and responsibilities. Initial consultations are free. Call us today to schedule your free consultation with an experienced Jacksonville divorce lawyer that will keep your best interest in mind.